Sammy Marwood's enthusiasm for skiing is contagious. Despite living in hot and sunny Perth, the Year 9 MLC student has been hitting the slopes for as long as she can remember. "I started skiing between my mum's knees. I love it so much," she said. That love, and the work she puts into her chosen sport, has earned Sammy a place on the Australian Children's Squad; quite a feat for a girl from one of the hottest and driest capital cities in Australia. 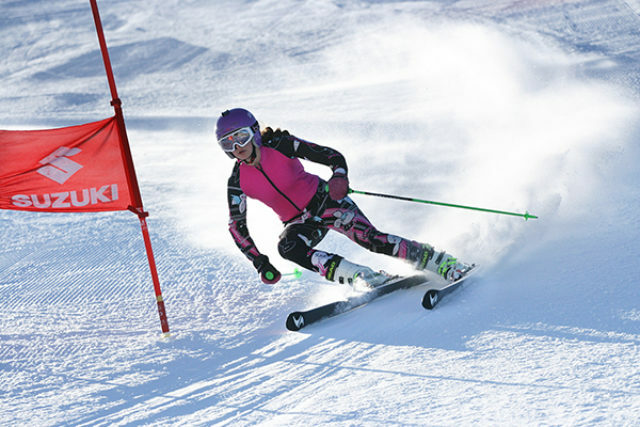 Luckily, her parents also share her love of the sport, and own a lodge in Falls Creek, Victoria's biggest ski field. "My parents went to Falls Creek for a holiday a year before I was born and they absolutely loved it," Sammy said. Sammy first joined a race club when she was six years old. 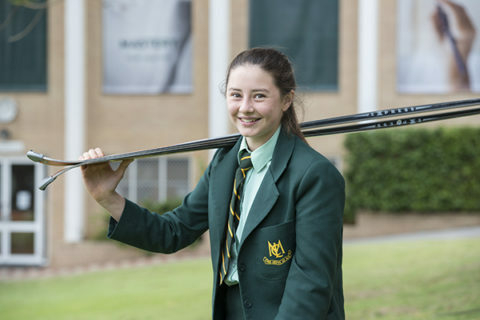 By the time she was nine, she had decided to follow her dreams to one day represent Australia at a Winter Olympics. During her summer holidays, Sammy competes in Europe. She spends all of Term 3, the Australian winter ski season, training in Falls Creek. While there, Sammy studies at the Falls Creek Alpine Academy four afternoons a week. MLC liaises closely with the academy so that Sammy can keep up with her schoolwork while following her passion. She admits that it's a balancing act, as her rigorous training schedule keeps her very busy. "From Tuesday through Thursday I train mornings from 8.45am to about noon," she said. 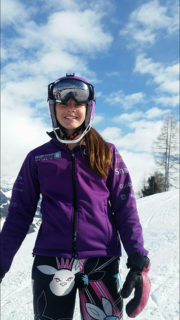 "On Friday, Saturday and Sunday I do full days of skiing, which is between 8.45am to 12pm, then 1.30pm to 3.30pm. "Monday morning is my one sleep in and sometimes I have a free ski." Sammy has been competing in the National Children's Series in Thredbo, in New South Wales, and Mt Buller in Victoria during Term 3. Earlier in the year she competed in Italy, Austria and Slovakia. Sammy hopes to go back to Austria to compete in January.